What streak of madness lies inside me? What is the truth my fears conceal? 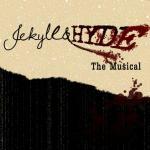 What evil force makes Edward Hyde of me? What darker side of me does he reveal? Of what's in my heart? Am I the man that I appear to be? Or am I someone I don't know? Is there some monster drawing near me to me?